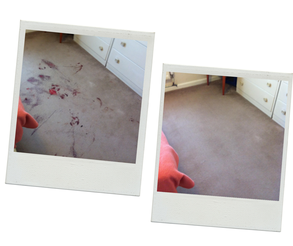 ACS Carpet Cleaning is your source of high-quality carpet cleaning services in Aylesham. Three decades of experience in the cleaning business enables us to deliver thorough and comprehensive services that meet your needs. Our cleaning staff is made up of highly skilled and qualified experts who will leave your carpet spotless and dry. For those looking to try our premium cleaning services, we offer free trials and slash 50% off our usual prices on the first clean. We want to help our customers make an informed decision before they sign up with us. We offer a free trial service so our customers can witness our cleaning techniques, the tools we use and the results they provide. If you are unsatisfied with our services and decide to pull out, the trial cleaning remains free. We utilise advanced technology that removes all manner of contaminants, such as dirt, oily soils, stale odours, dust mites, and pollutants. We provide free quotes for interested clients in Aylesham and surrounding areas. We’ll examine your carpet to identify your needs and specifications, and we’ll determine the price from there. We also give approximate quotations over the phone or via email, based on the details you provide. Our services cost at a minimum of £50, so you know you’re getting amazing results at a fair price. Our carpet cleaning services are 100% safe and eco-friendly, guaranteed not to harm people, plants or pets. We recognise that wet carpets are burdensome and can have health risks if they take too long to dry. At ACS Carpet Cleaning, you can rest assured that your carpets will dry four to five times faster than average, regardless of weather conditions, thanks to our fast-drying technology.